As many of you know, Pedal Finder is currently running a giveaway for a Heptode Virtuoso, which according to the Heptode website is a “boutique recreation of the original Maestro* PS-1A Phase Shifter, as used in the 1970’s by keyboardist John Paul Jones (Led Zeppelin) and guitarists Steve Howe (Yes) and Ernie Isley (Isley Brothers), among many others.” I originally was drawn to this pedal when I saw it on Chris Shiflett’s board during the teaser for the Foo Fighter’s Sonic Highways. We posted that board here. And then he offered this bit of information: “By the way, when I first looked at your post, I also thought it could be a mod. 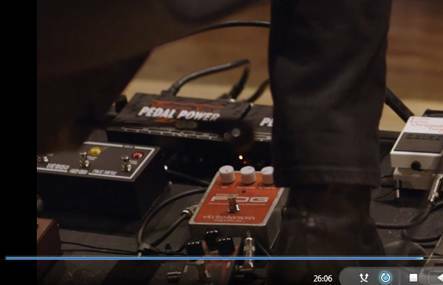 But if you look a few seconds after this scene, you will see that the pedal is not modded. What looks like a wheel was something that had been dropped on the pedal board.” Sure enough! It must have been a roll of gaffers tape or something similar. Obviously not one to shrug off inspiration Jean-Luc also added, “A side knob on the Virtuoso might be a good idea. Maybe it could sound like a kind of wah. I’ll try it when I have some time.” No promises, but perhaps the genesis of something new? What this whole experience tells me about Jean-Luc is that he has a keen eye for detail. I can only assume that this same attention is the kind he puts into not only the Virtuoso, but also his Deep Crunch and Heavy Tone creations. 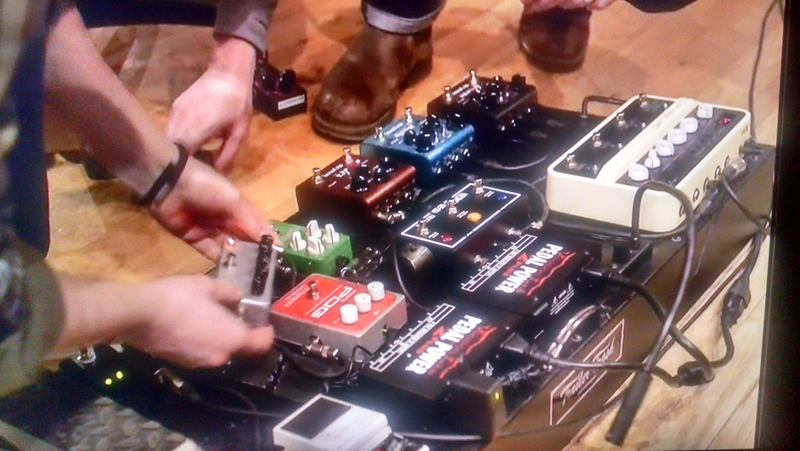 These are pedals that come from a place of passion and creativity. Coming soon, we’ll have an interview with Jean-Luc to talk about the history of Heptode as well as it’s future and everything in-between. So stay tuned and make sure you enter to gain a chance to win a Virtuoso of your own!